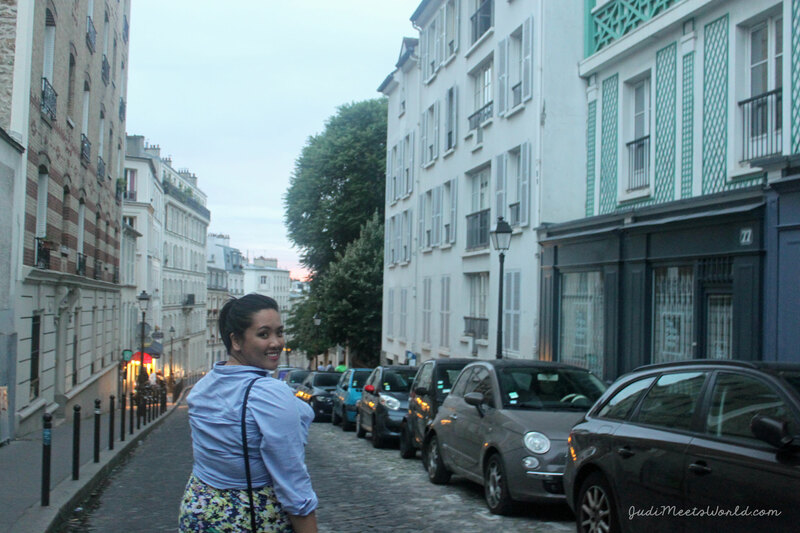 Sloped streets, whimsical windmills, and a view of Paris from the steps of a basilica. Last blog post, I highlighted some of the key, iconic must-visit landmarks if it’s your first time in Paris. Montmartre, I felt, deserved a post of its own, similar to the Cathedral Notre-Dame de Paris and Champ de Mars & Eiffel Tower. Read on to learn more about its history and some key places to visit. 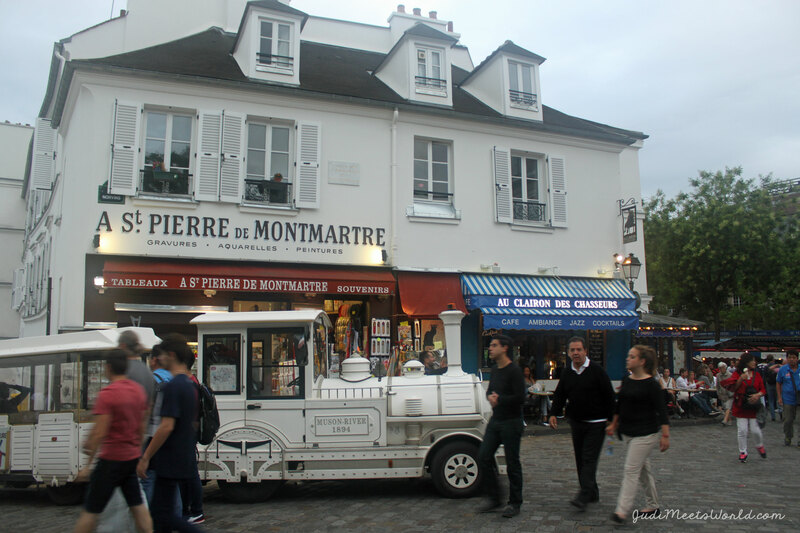 Find Montmartre (the Mount of the Martyr) in the 18th arrondissement of Paris. This area is known for several things, although I certainly was attracted to seeing Paris from a different perspective. At 130m above the rest of the city, I mean that literally! 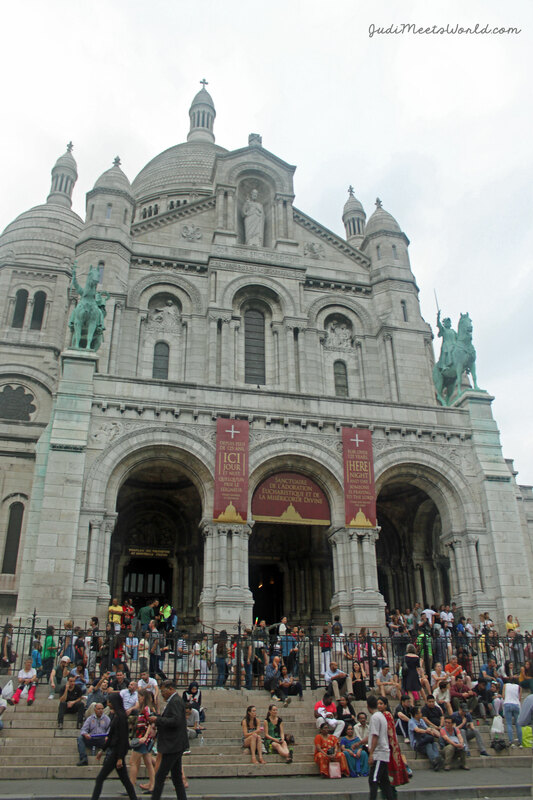 Sit at the steps of the Sacré Cœur atop the district, and just take it all in. 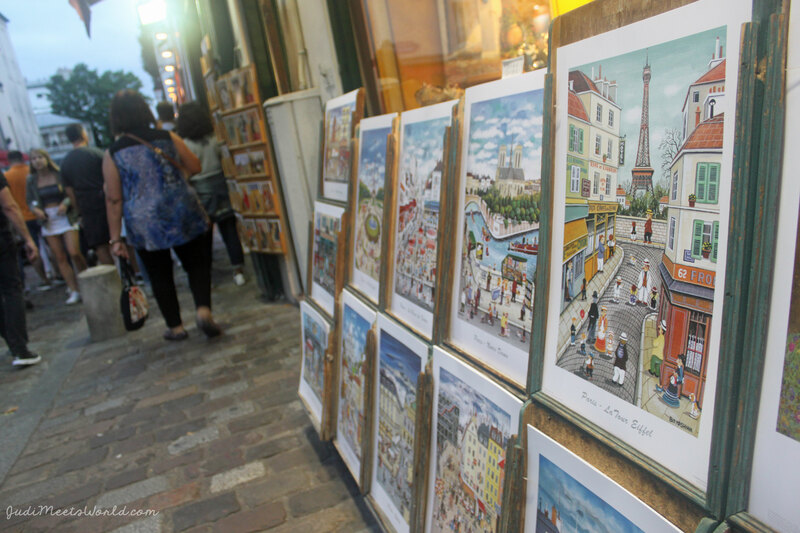 For any artists or history buffs, Montmartre was the centre of the Bohemian movement and the Belle Époque (“Beautiful Era”) from 1847 to 1914. There is a lengthy list of artists who resided in the area (and many art galleries, tours and museums to show for it). Artists included Henri de Toulouse-Lautrec, Pablo Picasso, Claude Monet, and Vincent Van Gogh, as well as many famous expats, including American author Langston Hughes. Getting to the top of the mount can be done in several ways. For those with a fear of getting lost, take an Uber or taxi. 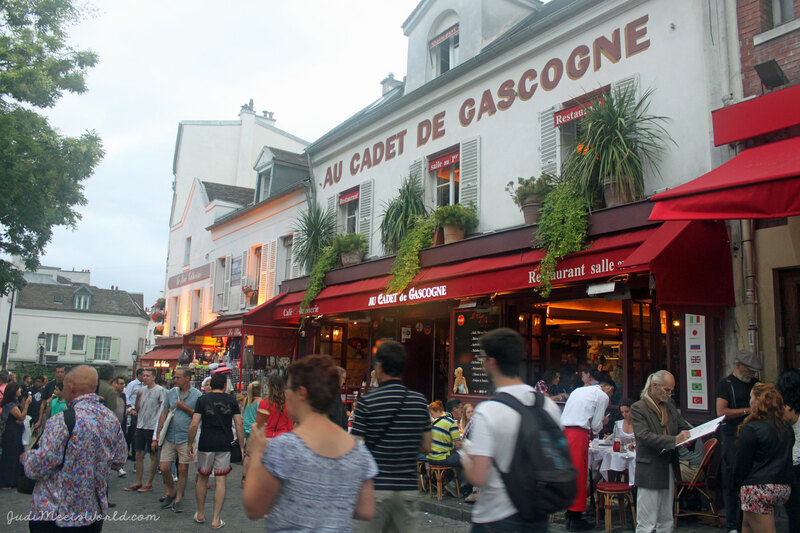 You can also use the metro and get off at the Abbesses station which leads you right into the heart of Montmartre. 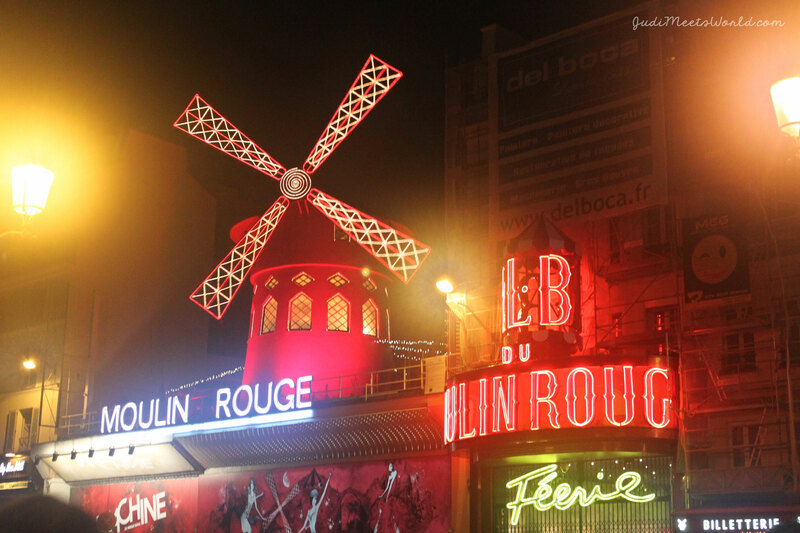 Those wanting to climb up can get off the metro at the Blanche station (Moulin Rouge) and walk up. Those with mobility issues can also take the Promotrain which is a 40 minute guided tour up the narrow, winding streets for about 7 Euros. The last option is the Funiculaire de Montmartre which operates on their public transportation system. The Basilique du Sacré Cœur remains a place of worship and religious pilgrimmage, keeping true to its original name and purpose. The basilica at the top of the mount continues to offer regular services as well as special occasions and adorations. Doors open daily at 6:00am until 10:30pm each day, but times to climb the 300 steps to the Dome vary per season. Touring the basicilica is free, along with a complimentary audio tour, but accessing the Dome does have a fee. 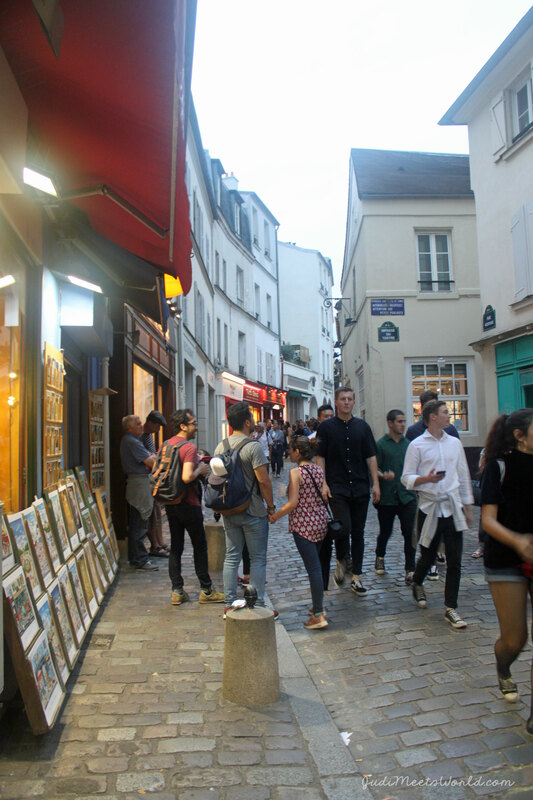 Just past the basilica was the site of all the hustle and bustle of Montmartre. 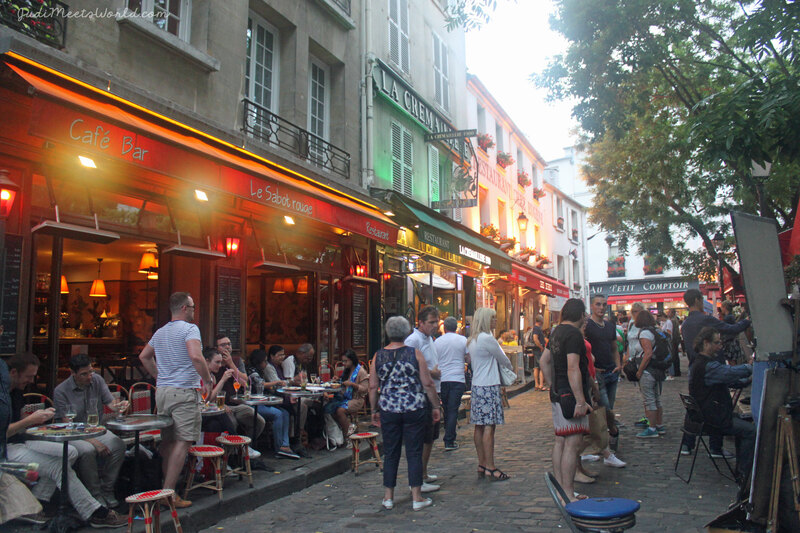 The Place du Tertre is an area filled with music and artists, lined with cafes and patisseries. I’m going to be honest with you. I didn’t take enough photos during this leg of Paris. I felt more connected to being present in my surroundings. I dined al fresco, I explored on cobblestone beneath my feet. 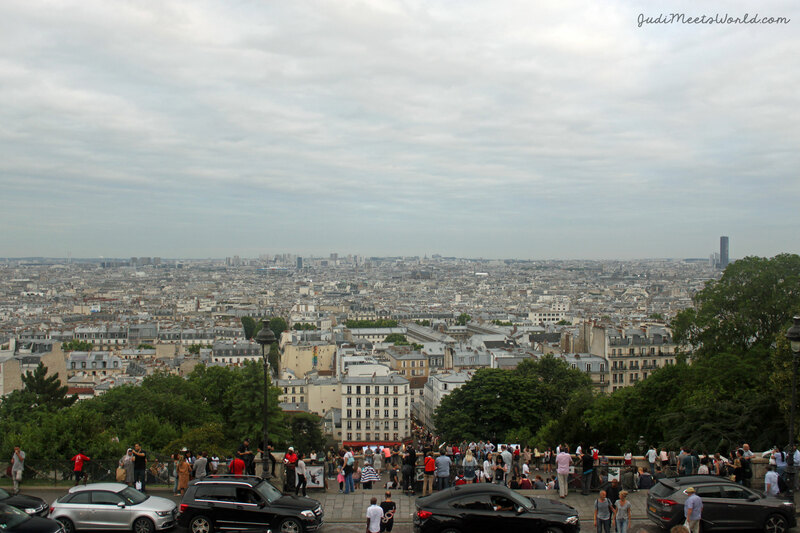 I took in the views from the top of Montmartre. 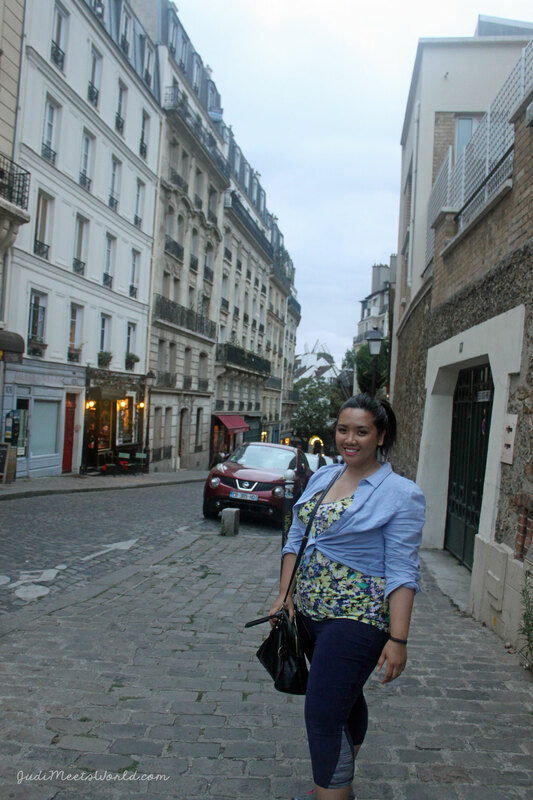 Perhaps this was my Paris self emerging – reminding me that I’ll be back, and I can worry about those photos on another trip. For now, I needed to sit back and enjoy.